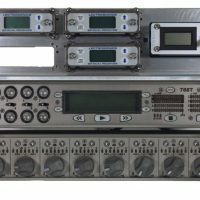 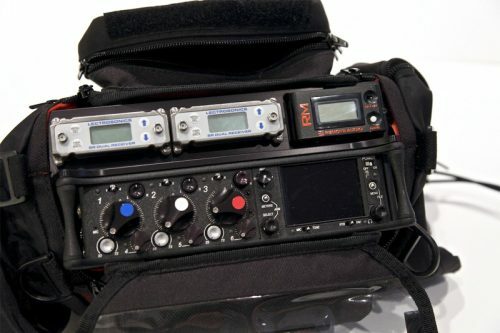 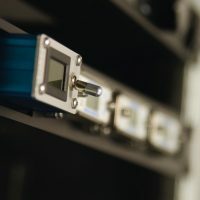 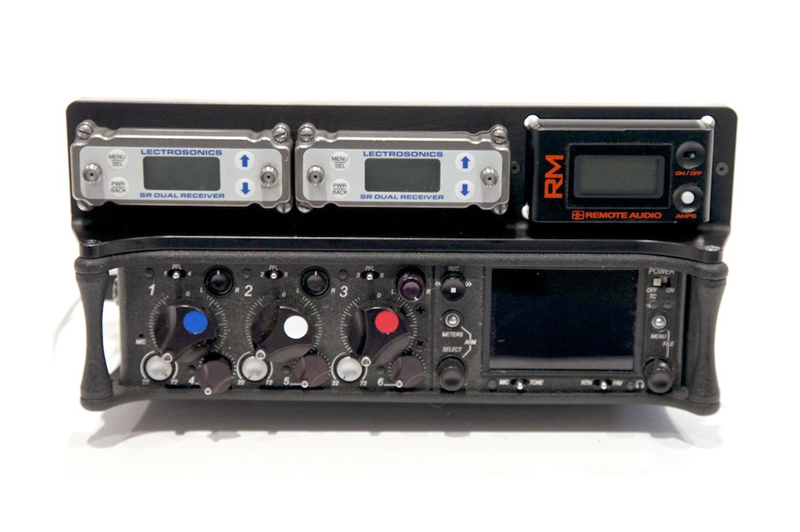 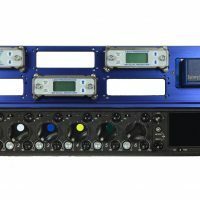 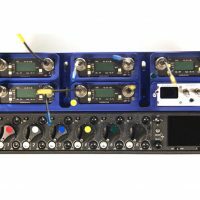 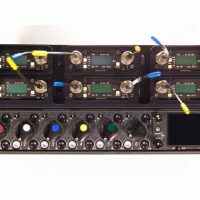 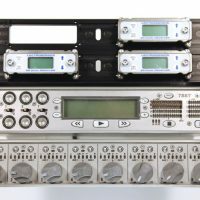 Designed to fit the Sound Devices 633 mixer and hold two dual channel slot mount receivers (Lectrosonics SR or Wisycom) and also your choice of DC power distribution unit (Remote Audio RM, Battery Bud, Audio Root VM models or Audio Root BG-DHmkII). 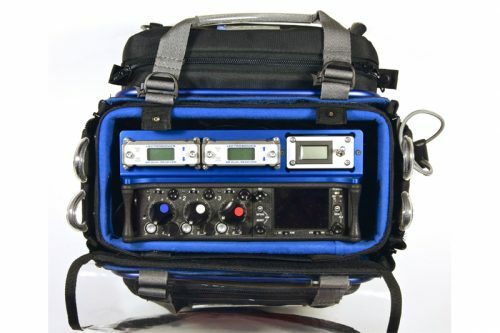 Machined out of a single piece of aircraft-grade 6061 aluminum for the best combination of strength and light weight. 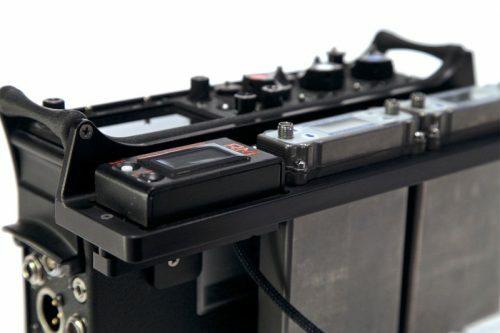 Mounts to your mixer using pre-existing mounting points- no modifications necessary to your audio gear. Ships with 8 mounting screws for the lectrosonics SR receivers.